-May 1 is the universal deadline to let schools know whether you are accepting their offer of admission or not. This is not a postmarked deadline. -Turn in ALL scholarship offer letters in order to be recognized in the graduation program. This includes offers of WUE, merit, organizational, athletic, etc. The deadline to submit to the C&CC is April 28. -Read your emails. You might be inundated with emails right now, however you wouldn’t want to miss a crucial email from the college that you plan to attend. You might receive an email regarding financial aid, housing information, new student orientation, registration events, etc. Check your inbox and act accordingly. -Turn in your final/eight semester transcript request, if the college needs your final grades. -Community colleges need your final transcript if you have applied for financial aid. If you are a scholarship athlete, you also need to send your final grades to the NCAA Clearinghouse or NAIA. You can do this now and the registrar’s office will hold your request until your final grades are posted in June. Submit your request form with payment to the C&CC. -Going away for college? Make sure to make travel arrangements for Winter Break. Check the college’s calendar online to determine the college’s final exam schedule. Allow time for cleaning up your dorm room and for packing. Some dorms close on the last day of finals, so plan accordingly. -Bed, Bath and Beyond has their Pack & Hold Service to make your move to college easy. You can shop here in Hawaii, tell them where to hold your items, then pick everything up at a store near your college. Pick up information and a coupon in to the C&CC. -Be sure to turn in your health clearance information (TB test and/or MMR shot record) to the school you will be attending. You will not be able to register for your classes until this is complete. -Don’t forget to thank the teachers and counselors who helped you with your college/scholarship recommendations and mid-year reports. -Our local community colleges are still accepting applications. Go to apply.hawaii.edu to apply. -Males 18 years of age must register with Selective Service. Go to sss.gov for more information. It’s the law. -Still undecided about what to do after graduation? See the C&CC ASAP. “The Universe is Yours” – Mini College/Career Fair on April 24 to 28. The C&CC will be hosting various colleges and organizations during Spirit Week on April 24 to 28. -Come to the cafeteria dining lanai during lunch to meet with representatives. Check the C&CC site for a list of participants. If you took the ACT with us in February, you should have received your test results in the mail. If you did not receive them, come to the C&CC for a copy of your scores. Juniors should be getting ready for senior year. Reminders: distribute/collect student evaluation sheets, update your resume, take at least one SAT or ACT test, make an appointment with your counselor, request for letters of recommendation (if applicable) and research your schools. Make an appointment with the C&CC if you need help with your college search or if you have any questions. Underclassmen, especially juniors, should sign up now for the SAT or ACT. Sites and dates fill up very quickly, so plan accordingly. 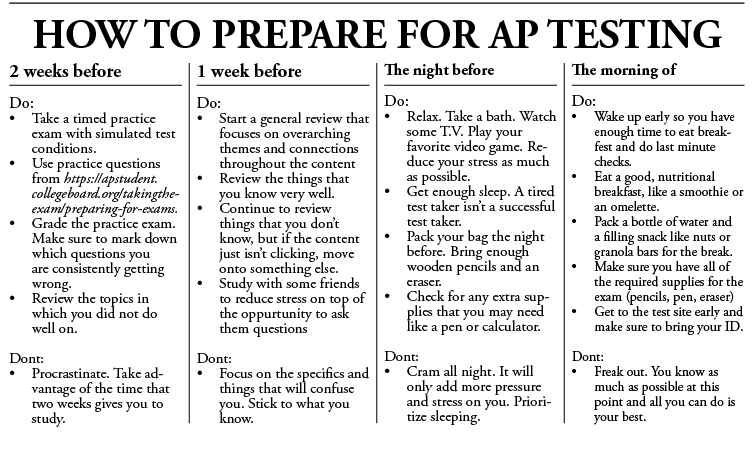 Go to collegeboard.org or actstudent.org to sign up for the appropriate test. Our school’s CEEB code is 120-197. Need a fee waiver? Come to the C&CC. Students on free or reduced lunch are eligible for SAT, ACT and NCAA Clearinghouse fee waivers. Come to the C&CC and pick up your fee waiver today. Summer is a great time to do volunteer work. This invaluable experience will give students insights to the world of work, and will enhance their resume. Call companies or organizations and inquire about volunteer opportunities that they offer.